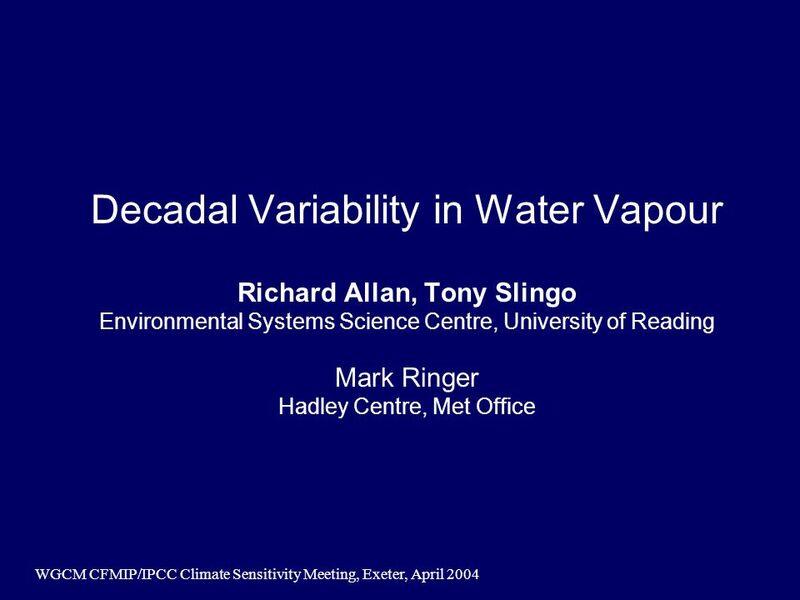 WGCM CFMIP/IPCC Climate Sensitivity Meeting, Exeter, April 2004 Decadal Variability in Water Vapour Richard Allan, Tony Slingo Environmental Systems Science. 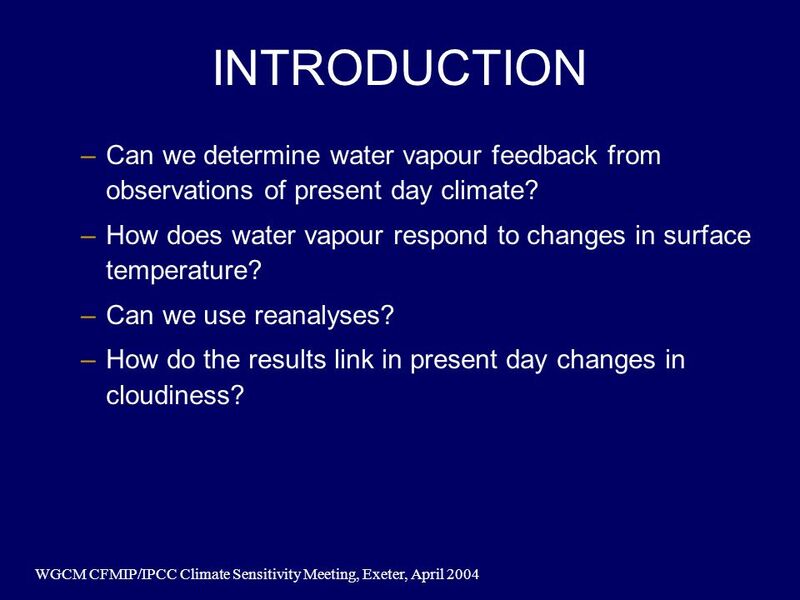 2 WGCM CFMIP/IPCC Climate Sensitivity Meeting, Exeter, April 2004 INTRODUCTION –Can we determine water vapour feedback from observations of present day climate? 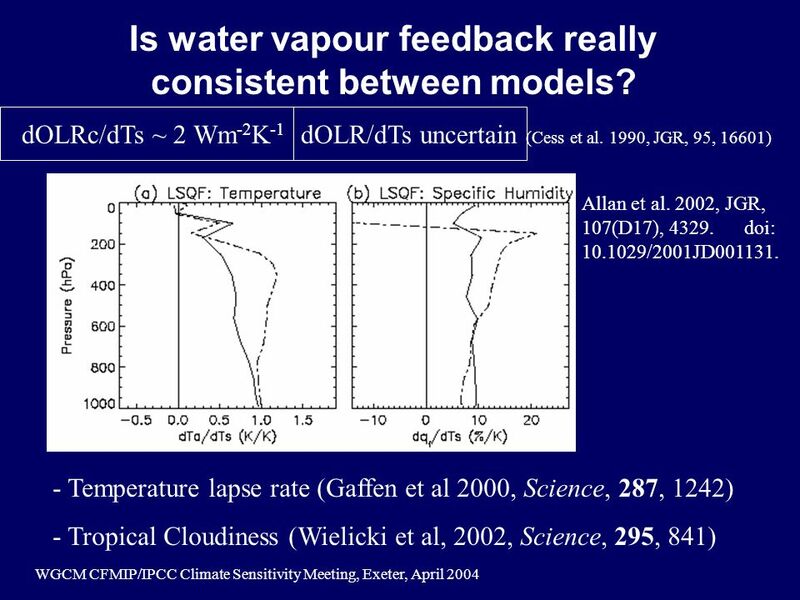 –How does water vapour respond to changes in surface temperature? 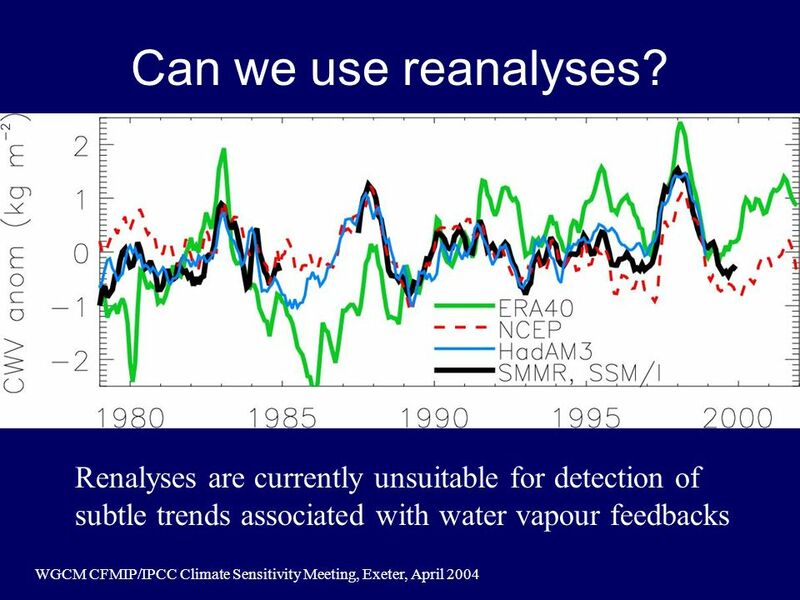 –Can we use reanalyses? 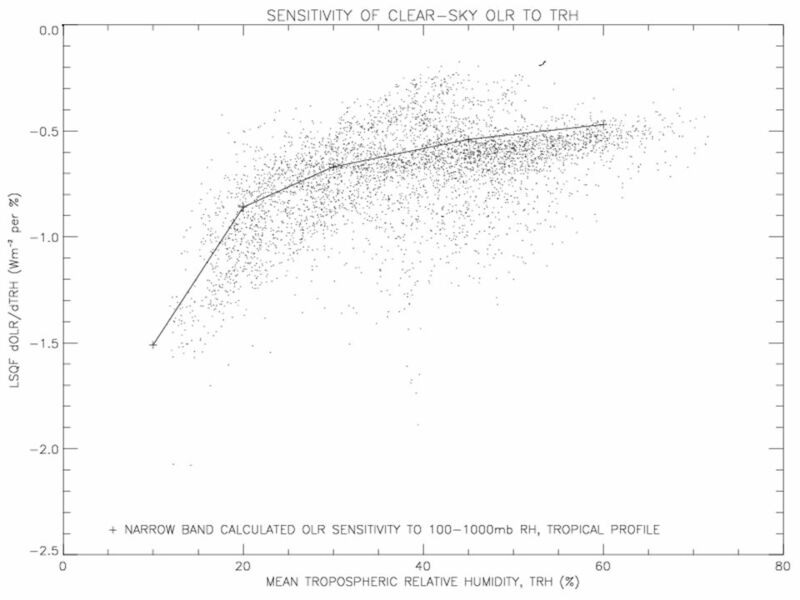 –How do the results link in present day changes in cloudiness? 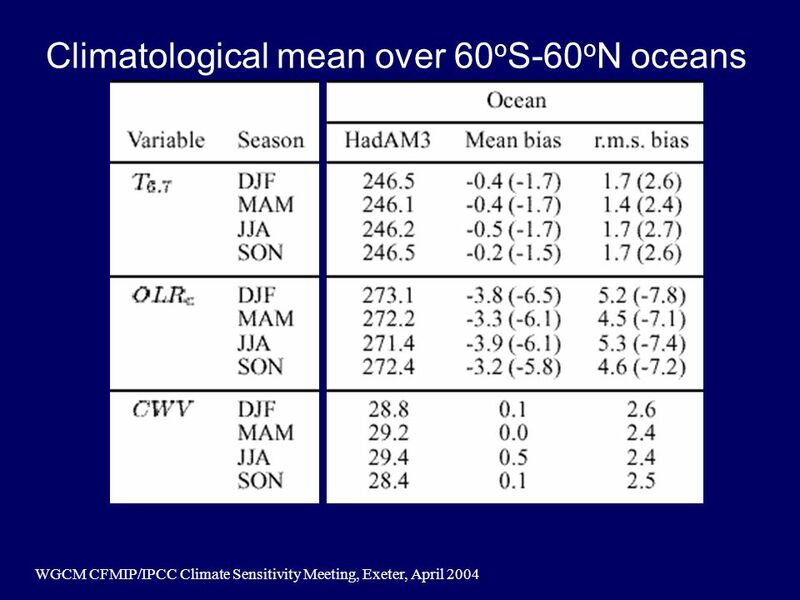 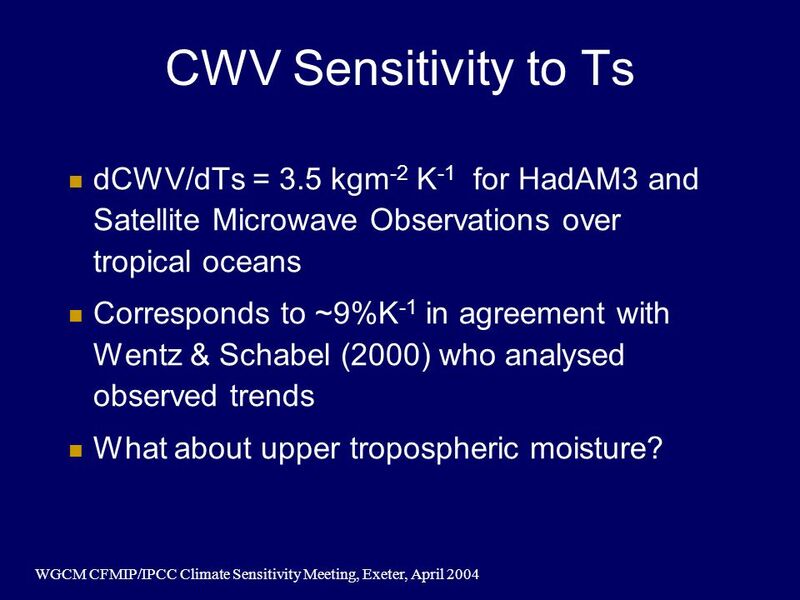 7 WGCM CFMIP/IPCC Climate Sensitivity Meeting, Exeter, April 2004 CWV Sensitivity to Ts dCWV/dTs = 3.5 kgm -2 K -1 for HadAM3 and Satellite Microwave Observations over tropical oceans Corresponds to ~9%K -1 in agreement with Wentz & Schabel (2000) who analysed observed trends What about upper tropospheric moisture? 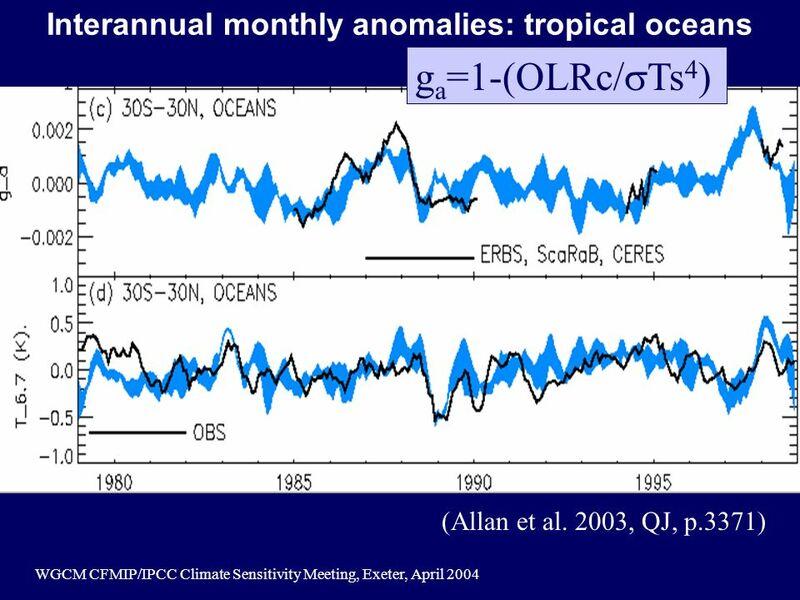 15 WGCM CFMIP/IPCC Climate Sensitivity Meeting, Exeter, April 2004 Allan & Slingo 2002, GRL, 29(7) OLR Clear-sky OLR RSW +Altitude Correction? 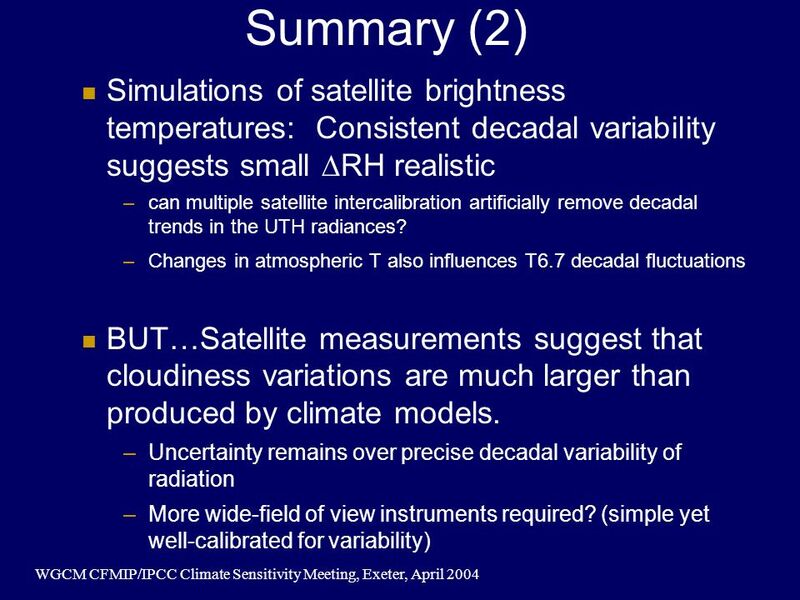 Download ppt "WGCM CFMIP/IPCC Climate Sensitivity Meeting, Exeter, April 2004 Decadal Variability in Water Vapour Richard Allan, Tony Slingo Environmental Systems Science." 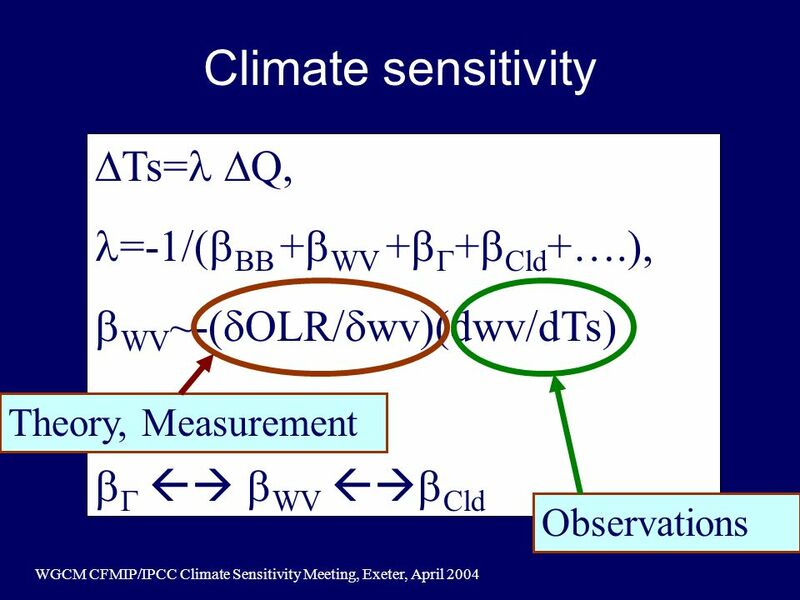 Page 1© Crown copyright 2007 CFMIP2: Options for SST-forced and slab experiments Mark Ringer, Brian Soden Hadley Centre,UK & RSMA/MPO, US CFMIP/ENSEMBLES. 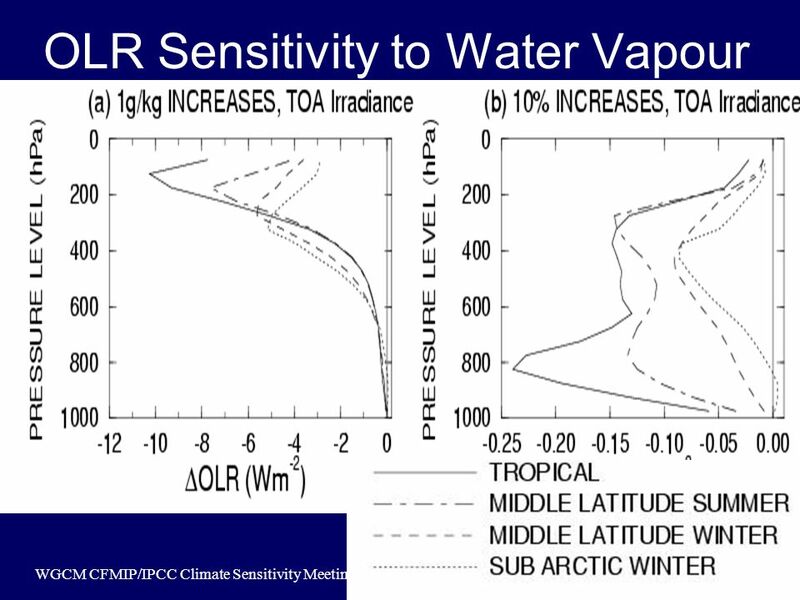 © University of Reading Chapman Conference on Atmospheric Water Vapor and Its Role in Climate Tropospheric Water Vapour and. 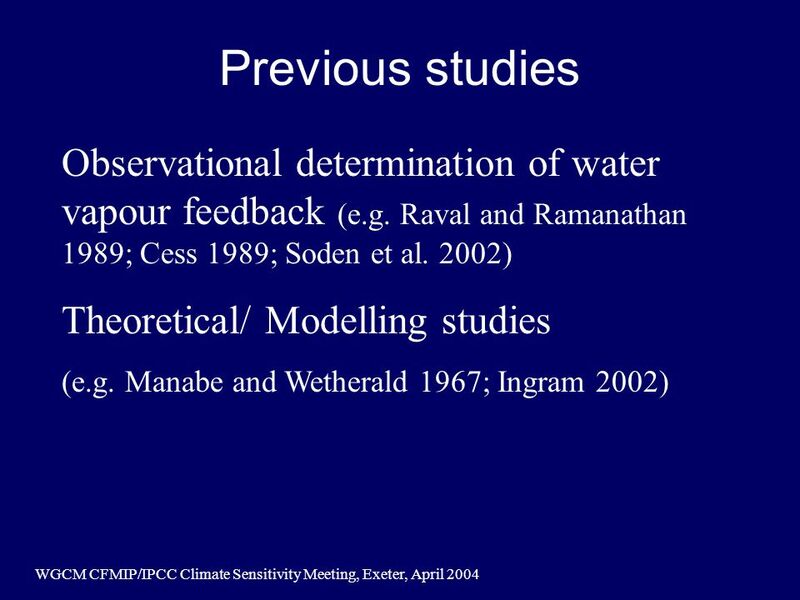 University of Reading Improved understanding of how rainfall responds to a warming world Richard Allan Environmental Systems. 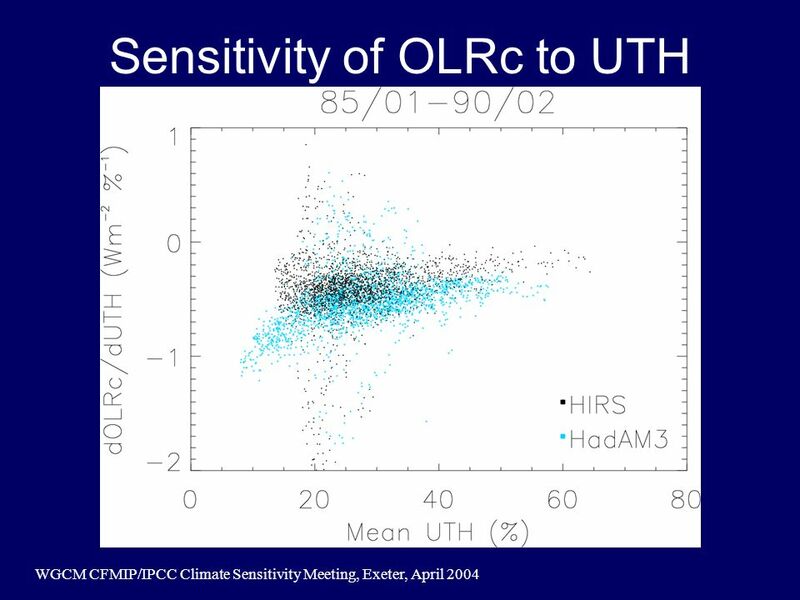 University of Reading 2007www.nerc-essc.ac.uk/~rpa Monitoring satellite observations and model simulations of changes in the atmospheric. 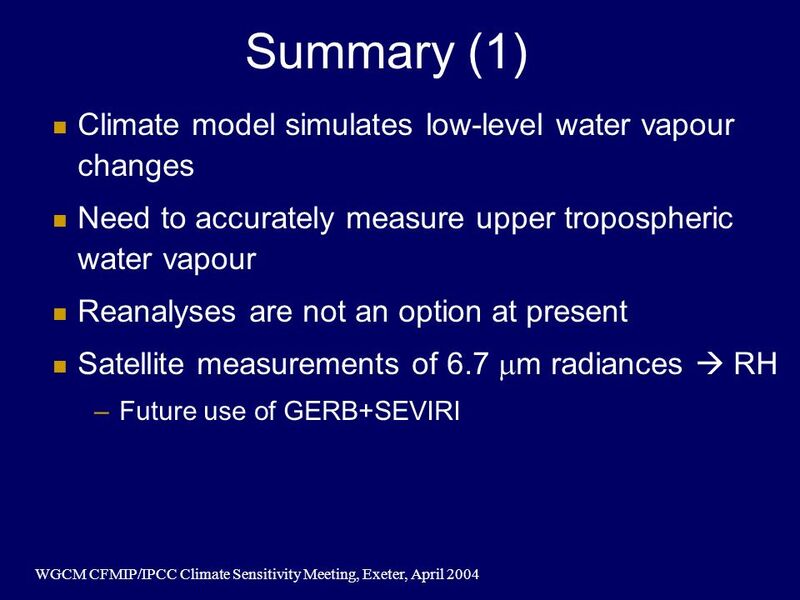 Figure 1: Using GERB and SEVIRI data to evaluate the Met Office NWP model in near-real time; example SINERGEE comparisons for 8 th March 2006 at 1200 UTC. 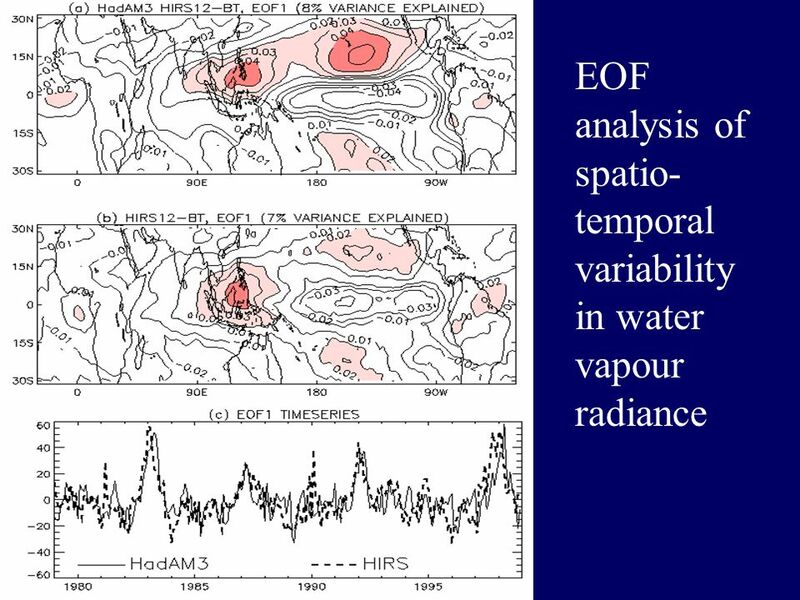 Current Changes in the Tropical Precipitation and Energy Richard P. Allan Department of Meteorology, University of Reading Thanks to Brian Soden, Viju. 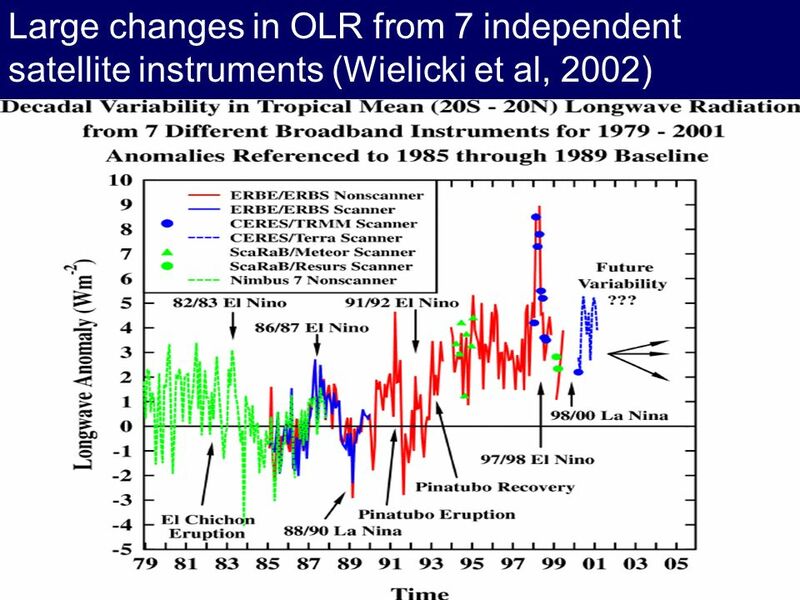 IRS2004, Busan, August 2004 Using Satellite Observations and Reanalyses to Evaluate Climate and Weather Models Richard Allan Environmental Systems Science. 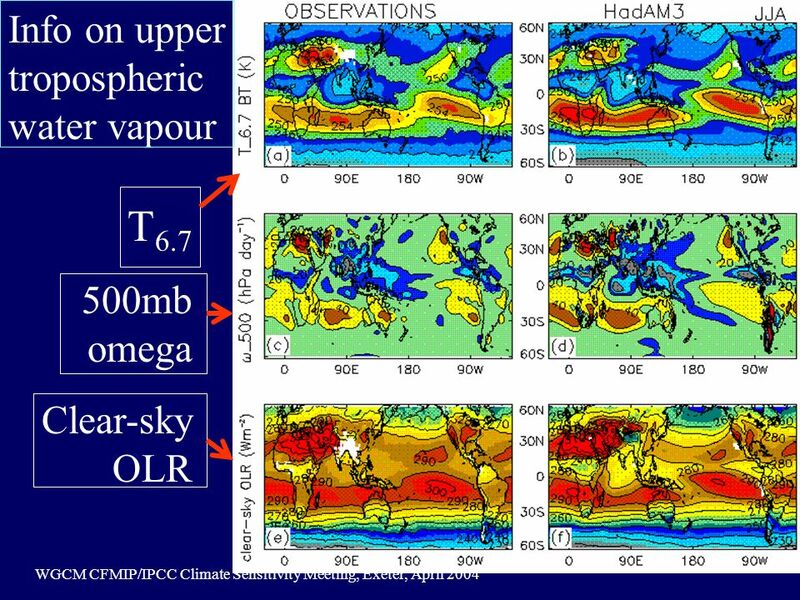 © University of Reading 2009 EUMETSAT Monitoring changes in precipitation and radiative energy using satellite data and. 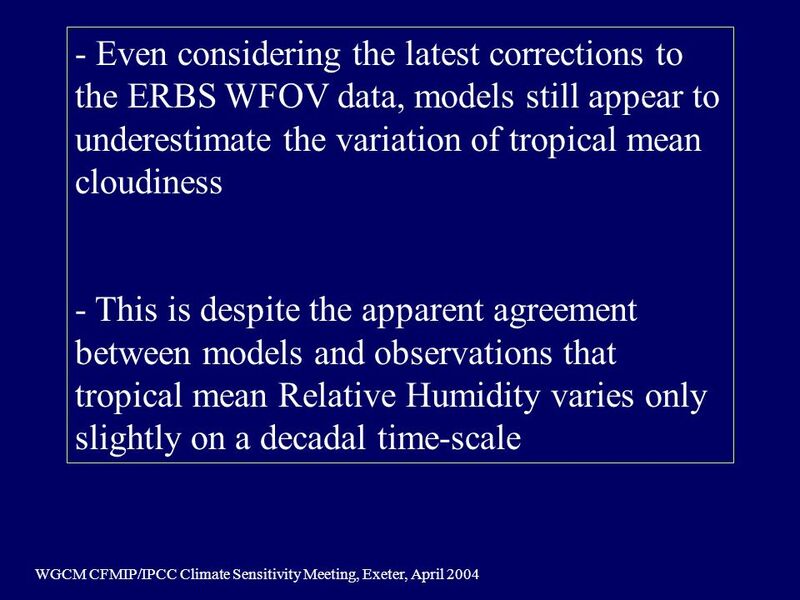 University of Reading 2007www.nerc-essc.ac.uk/~rpa Present day changes in tropical precipitation extremes in models and observations. 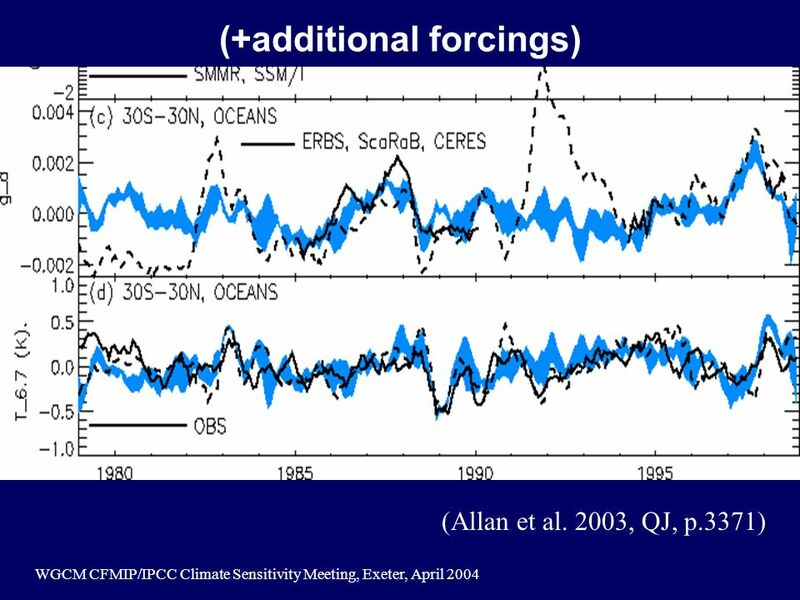 © University of Reading Monitoring and understanding current changes in the global energy & water cycles Richard Allan. 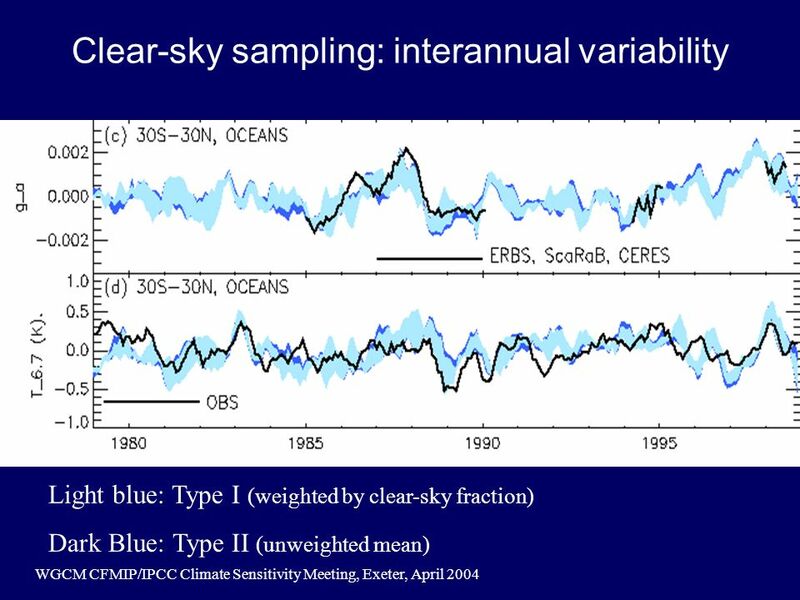 3) Empirical estimate of surface longwave radiation Use an empirical estimate of the clear-sky surface downward longwave radiation (SDLc) to estimate the. 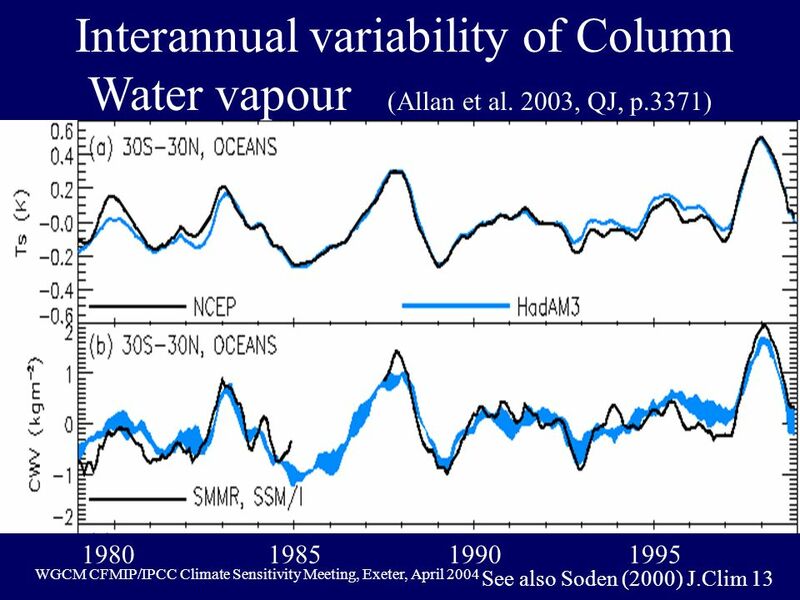 1 Evaluating water vapour in HadAM3 using 20 years of satellite data Richard Allan, Mark Ringer Met Office, Hadley Centre for Climate Prediction and Research. 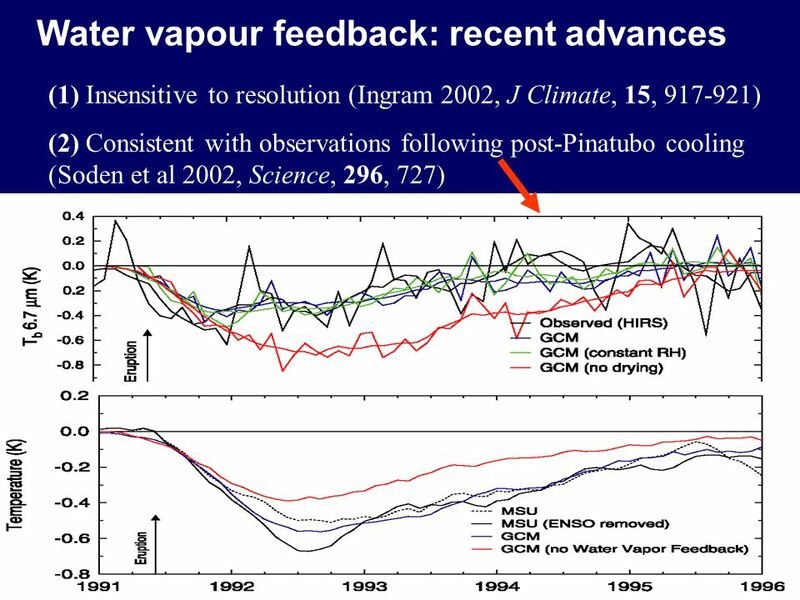 NCAS-Climate Talk 15 th January 2010 Current Changes in the Global Water Cycle Richard P. Allan Diffusing slowly to Met Department/NCAS-Climate from ESSC. 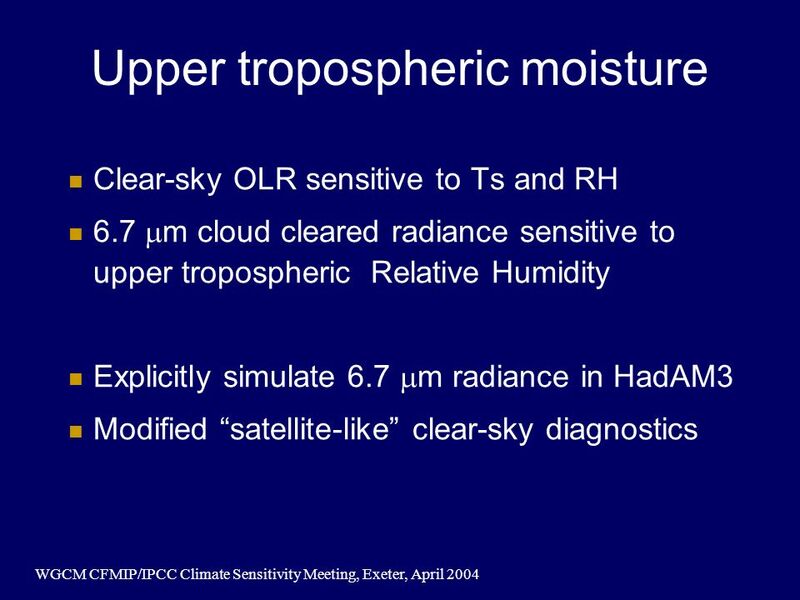 Links Between Clear-sky Radiation, Water Vapour and the Hydrological Cycle Richard P. Allan 1, Viju O. John 2 1 Environmental Systems Science Centre, University. 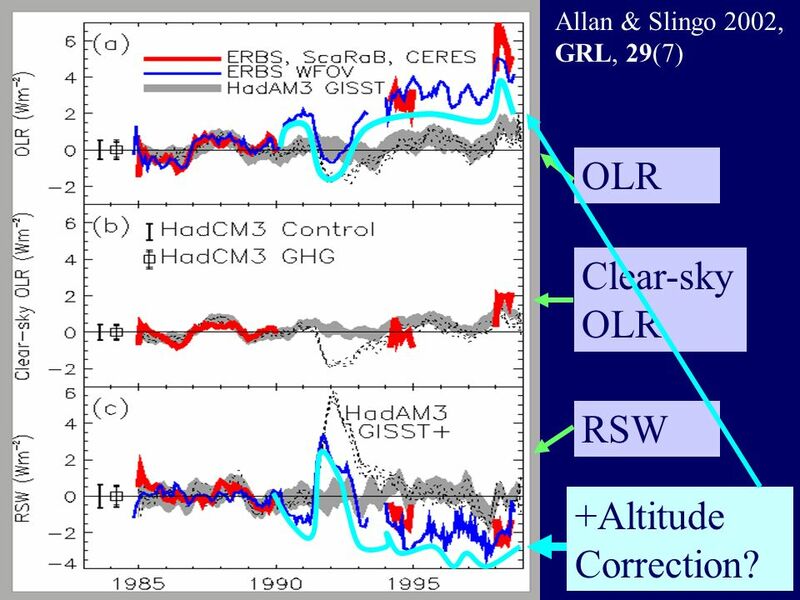 Evaluating the Met Office global forecast model using Geostationary Earth Radiation Budget (GERB) data Richard Allan, Tony Slingo Environmental Systems.